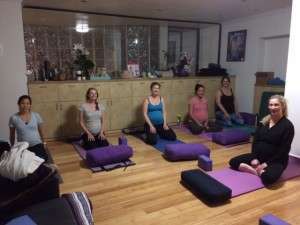 Ma Yoga Prenatal Yoga Marina Del Rey - and Mom + Baby yoga too! Welcome to the Ma Yoga Marina Del Rey Location Page! Scroll down for our Class Schedule, contact info, parking instructions, recommended caregivers in the area, and instructions for booking your first FREE class. Don’t worry, we never charge for booking, only attending. We do appreciate an email if you can’t make it – just email Melanie at doulamellie@earthlink.net or Andrea at andreamaravimyers@gmail.com. Looking for more classes nearby? Try Ma Yoga Beverly Hills – Music Together. 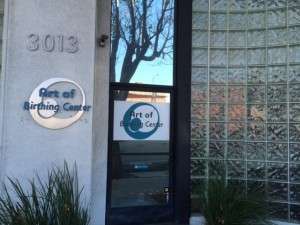 Welcome to Ma Yoga Prenatal Yoga in Marina Del Rey – The Art of Birthing Center! Come enjoy therapeutic, strengthening yoga that will help you connect with your feminine power, wisdom, and nurturing energy. Classes incorporate labor and motherhood prep, therapeutic alignment for aches and pains, and of course time to make mom friends. Come play! I come from an athletic running background, and yoga kept me flexible and centered during my training years. 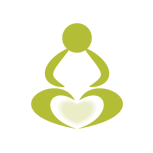 When I became pregnant, my experience with prenatal yoga went beyond the physical experience. A new path opened up to show me that the power of women in a group is unbreakable. I was able to find my new self, the mother in me, the woman, the instructor, and the friend. What better place for my heart to be than in class guiding and supporting new mamas, honoring our amazing bodies and walking together through the journey of motherhood. Enter the building in the back. 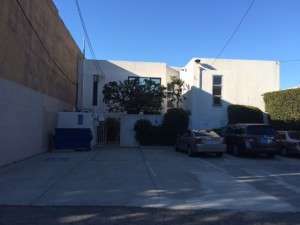 Parking is available in the back as well as on the side streets, and in front of the birth center on Washington. The Art of Birthing Center provides families with a comfortable community setting for pre-natal and postpartum care, education for natural childbirth and baby care, baby-led breastfeeding and infant handling, and conscious parenting. Their birthing environment is designed to support the grounding of the nervous system, enhancing the deep relaxation of pregnant mother, necessary for birthing. It is widely understood that calm mothers birth better. Their birth suites have portable tubs for water birthing options. The Art of Birthing Center offers other holistic wellness care, besides Midwife care, including naturopathy, homeopathy, acupuncture, chiropractic care, nutritional classes and counseling, trauma and fear processing, Family counseling, post-partum return to wellness coaching, and scar-tissue remediation for the expecting mother. For more info please check out their website at The Art of Birthing Center. 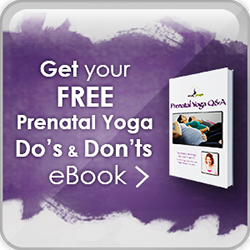 Just choose the Prenatal Yoga or Mom Yoga + Baby class you want to go to by going up to “Locations” and to your Location Page. Honestly the hardest part was not the pain but resisting the urge to push as we waited for my doctor to arrive. My body was totally ready to give birth and fighting against the urge was challenging, but controlling my breath was the key to mastering it. Melanie, everything you taught me over the past six months came into play and helped prepare me for that wonderful night, I will never be able to fully express how honored and grateful I feel for all the wisdom you shared with me as I took your class, but my husband, my mother, and I agree that it all played into my ability to stay focused and have a wonderful and completely natural child birth experience. My family and beautiful son thank you from the bottom of our hearts!!! These yoga classes are great. 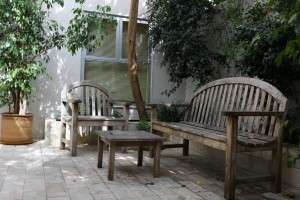 The space is cozy and homey and Jessica is a very warm and knowledgeable teacher. I often walk in feeling like my back and hips are all out of whack and then walk out feeling *amazing*. I love the community here too–it’s so helpful to hear how other pregnant woman are feeling and it’s a very supportive place. Also–I wasn’t sure if this would be a place that would have a “you must have a natural home birth” vibe, but it totally isn’t. All choices are embraced and that feels really nice–it’s very nonjudgmental. I highly recommend this to moms-to-be…I always feel looser and taller and calmer after these classes, and if you buy a 10-class pack it’s a very good deal. My obstetrician recommended prenatal yoga to help me with stress. I googled around and found Ma Yoga. I went to the first free class and enjoyed it. It was harder than I thought it would be, but I left feeling better. I kept attending until roughly 38 weeks, but returned a month later for their mommy and me classes. My instructor was Jessica and I really loved her attitude and the class. I’ve kept up with several of the mothers I met in class… Toward the end of my pregnancy, despite being the size of a small house, I was definitely getting better at all the poses and my balance. The best thing I could have done. I started going to Ma Yoga when I was 16 weeks pregnant. It was the best thing I could have done for myself! After being so sick for the first 3 months it was so nice to have something to look forward to each week and to be around other women who could sympathize. Prenatal yoga also helped a lot with the normal aches and pains of pregnancy. I felt myself getting stronger and overall feeling much better each time I went. It was also very soothing for my nerves and helped me deal with the general stress of being pregnant. I’ve missed the past month due to conflicts with child care classes offered by my hospital but am looking forward to finishing out the last 4 weeks of my pregnancy at Ma Yoga! Hopefully I will be able to attend the mommy and me classes for a bit afterward as well while I am on maternity leave. thank you for a wonderful, relaxing, and also challenging class tonite! I loved it. You guys made me feel welcome and very comfortable in my 1st time practicing with MA Yoga! Look forward to more classes in the future…so glad I found you guys to further teach me in yoga! See you soon! Yoga has relieved the discomfort and the aches of pregnancy and made the experience more enjoyable. It has made me aware of simple things I can correct on a daily basis to relieve common pregnancy symptoms. I learn something new every week. Highly recommended. I was prepared for delivery day! 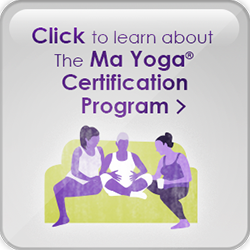 My Ma Yoga prenatal yoga class was an invaluable part of my pregnancy. Not only did it help prepare my body for the marathon of birth, but it was vital in helping me prepare mentally for the delivery day, as well as the postpartum period. Melanie facilitated discussions that were essential for the new mama to hear, and begin to think about long before meeting her child. Melanie is also such a gifted teacher that cares for your growing belly and your overall health. I know my baby and I became stronger, and flourished because of her instruction! I also loved that we became such a close knit group under Melanie’s care, and that each member of the class received such encouragement while in the class, and was truly celebrated once they “graduated”! I would say to any pregnant woman to give themselves the gift of Ma yoga, not only for the supportive community, but it may be the only 90 minutes in your week that you get to focus on your pregnancy in a way that is quite special. All the techniques I learned and practiced in your yoga class also helped me to achieve this birth. I kept reminding myself to breathe and also used horse lips and low moaning sounds to get me through. I am definitely sad that I will no longer be attending class but am SO very thankful for everything you taught me and for having had the opportunity to be in class throughout my pregnancy. Giving birth is an amazing experience and totally worth it– we woman ARE strong & our bodies ARE definitely perfect and capable of birthing our babies– just as nature intended it to. Thanks for caring so much and for your amazing class Melanie! 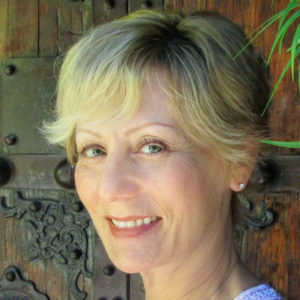 At Julie Grados Wellness in Venice, she specialize in treating the whole individual with holistic medicine. Her approach to wellness includes acupuncture treatments to restore balance, diet modifications, and stress reduction. Following her approach to wellness leads to a healthier body with increased potential to obtain your goal. Whether your health goal is to reduce pain, get rid of insomnia, regulate hormones or achieve pregnancy, she can help! Well Baby Center is a non-profit parenting and counseling center, founded by Deborah Groening, MA, LMFT, Psy.D. Candidate. Their mission is to provide the necessary tools and resources to new parents in order to enable happy, healthy families and communities to grow and flourish. They strive to guide parents through the process of self-healing and discovery so they can be present to their new child’s budding sense of self. With over 30 years of ongoing therapeutic bodywork experience in holistic health, the scope of Val Guin’s extensive career, as a private practice massage therapist, instructor and as the innovative force behind the revolutionary Forearm Dance™ technique is unquestionable.